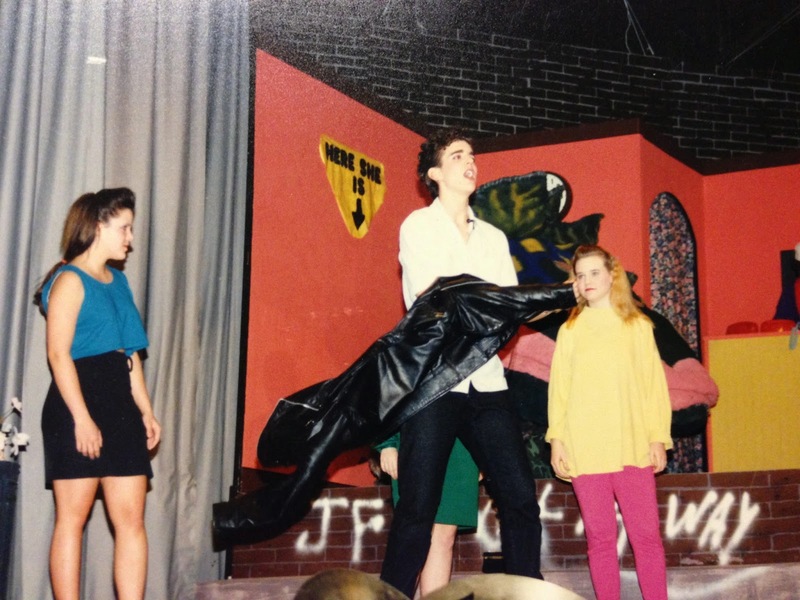 Carlin as a sophomore in high school in the musical Little Shop of Horrors. In March of this year, I had an idea for the Nerd Lunch Podcast to discuss pop culture based musicals and within the context of the discussion we would create ideas for other potential musicals based on movies and TV shows. I felt like a topic like this begged for a special themed intro. So I created the “Nerd Lunch: The Musical” opener. I sang for a chunk of it, I enlisted the other podcasters from the show (including guest Klingon Pop Warrior Jen Usellis Mackay) to sing parts and my wife sang all the back up parts and I produced it all into one magnificent opening. Take a listen to the first couple minutes below for the results and check out the entire show for the full discussion. Lots of creative ideas were shared.